Fitted and comfortably stretchy top with a heart cut out at the front chest. Very cheeky with a skirt or over your fav pair of jeans. 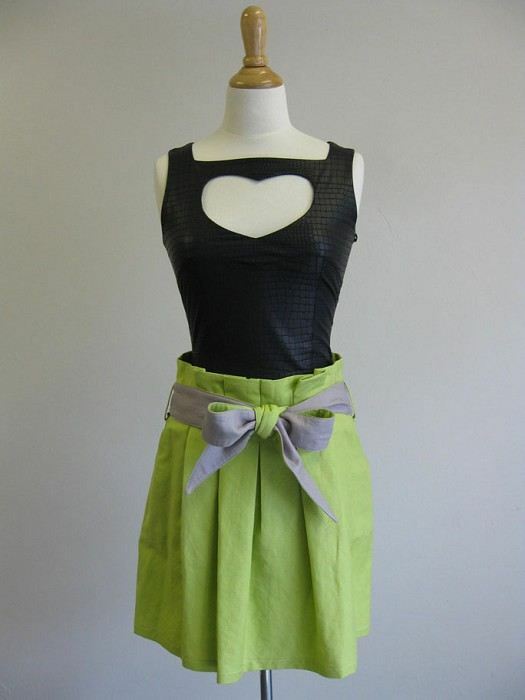 Beautiful summer skirt with contrast (orange) side pockets and two colour way sash. It is pleated at the front and back with invisiable zip at the side. Wear it with the I Heart Top or a basic singlet top and team with flats or sneakers for a casual day out at the beach.